applying this UKPSC Assistant Professor Recruitment 2017. 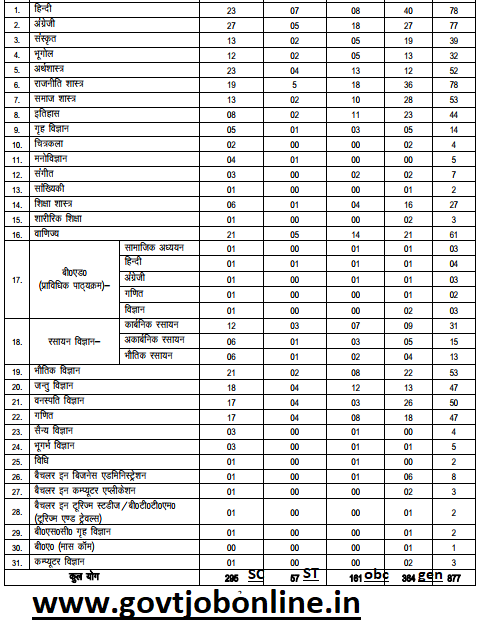 Currently vacancies available in Uttarakhand Govt Degree Colleges in 31 subjects. There are total 877 Assistant Professor Jobs in Uttarakhand Public Service Commission. 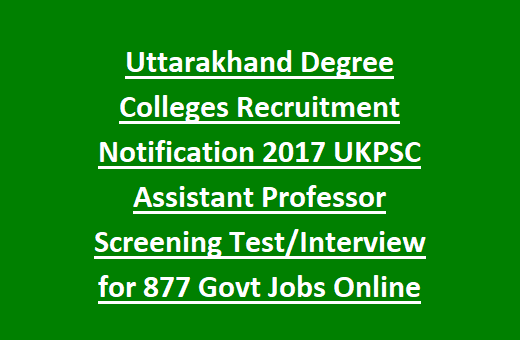 Last date for submission of application form online for these UKPSC Assistant Professors jobs through Uttarakhand PSC official website or www.ukpsc.gov.in is 25-08-2017. Selection for these UKSPC Asst Professor Recruitment 2017 will be held through Screening test and interview only. If large number of applications received for a particular subject then only Screening test will be conducted otherwise only interview will be held for UKSPC Assistant Professor Jobs Recruitment. For more details such as age limits, pay scale, application fee and other info is given below for Uttarakhand PSC Govt Degree Colleges Assistant Professor Jobs. 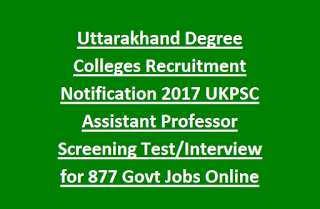 Currently 877 Assistant Professor Jobs available in 31 subjects for Uttarakhand Govt Degree Colleges recruitment of UKPSC. As on 01-07-2017 candidates age limits are 21-42 Years and for reserved candidates age limits are application as per Uttarakhand State Government for this Degree College Assistant Professor Jobs. If large number of applications received for a particular subject then only screening test will be conducted for concern subjects otherwise only interview will be conducted. Based on candidates academic marks and experience a merit list will be prepared those are only called for Screening test or interview by UKPSC for Degree College Assistant Professor Jobs. Eligible candidates can submit their application online through the UKPSC official website of www.ukpsc.gov.in on or before 25-08-2017 and pay the fee on or before 29-08-2017. Before applying online candidates ensure their educational qualifications clearly in official notification.